At the same time, the comprehensive transformation of the site towards climate-friendly steel production will be further pursued. thyssenkrupp Steel is pursuing the long-term goal of producing CO 2 that was previously used in production Emissions by at least 80 percent by 2050. The project, which is about to begin, will be funded under the initiative IN4climate.NRW recently launched by the state government. Economic and Digital Minister Prof. dr. Andreas Pinkwart: “It is a great pleasure for me today to hand over the funding decision for the first project of the initiative IN4climate.NRW, with which we are taking an important step towards a climate-neutral industry. In order to achieve ambitious climate protection with a globally competitive industry in the future, there must be innovations in industrial and energy-intensive processes such as steelmaking. As a state of North Rhine-Westphalia, we would like to go along with this transformation path together with industry and science. The pilot project shows that our initiative IN4climate.NRW is already bearing fruit. 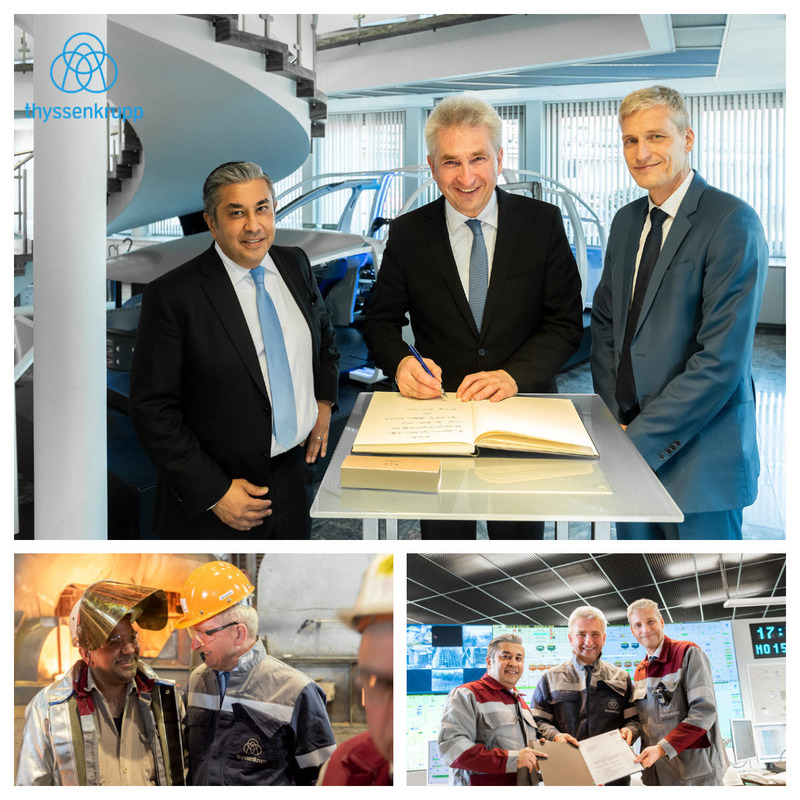 I am glad that we have thyssenkrupp Steel, Air Liquide and BFI here as innovative partners by our side “. Air Liquide, a world leader in industrial gases, supplies the hydrogen needed for the project. thyssenkrupp is committed to Paris’ climate protection goals. With the necessary conversion of its steel production the enterprise proceeds thereby technology-open and uses different, complementary approaches. For example, with the Carbon2Chem project, which has already been successfully launched in steel production, greenhouse gases can be converted into chemical products and can therefore be used as valuable raw materials. Hydrogen is a key driver for achieving climate ambitions because it does not cause climate-damaging emissions at the site. It can be stored and transported in liquid or gaseous form with high energy density and offers so many applications. Because of its versatility, hydrogen plays a key role in the transition to a clean, low-carbon energy system. In steelmaking, hydrogen can be used as an emission-free reducing agent for iron ore.
Air Liquide is a global leader in gases, technologies and services for industry and healthcare, with operations in 80 countries and around 66,000 employees. In 2018, it generated sales of approximately € 21 billion. The company supplies three quarters of the industrial companies in the DAX and thus forms an important pillar of the German economy. Air Liquide Deutschland is active in NRW at home and in industry associations such as the German Chemical Industry Association (VCI). With the initiative “IN4climate.NRW”, the state government supports the necessary transformation processes in industry. Experts from business, science and administration are currently working on strategies and solutions for how the industry can maintain its competitiveness, generate additional growth and contribute to achieving the Paris climate protection goals. For 50 years now, the BFI, as a non-profit research institute in the VDEh, has been supporting the steel industry with solutions for current and future issues. It sees itself as a research partner, who, at the same time, thanks to his specialist expertise and many years of experience, establishes the important ability to connect the insights into professional practice. New topics of interest, such as energy efficiency, process optimization, metrology and industry 4.0, form the focus of the research.